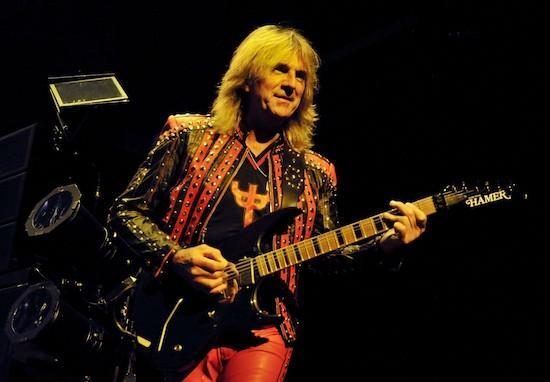 One of heavy metal's shining lights - Glenn Tipton of Judas Priest - signalled his move toward retirement today and said he would no longer be taking part in the band's upcoming tour. According to a statement released on behalf of the band this morning, Glenn was diagnosed with the onset of the early stages of Parkinsons a decade ago but carried on in his role in the band regardless. The statement said: "Right now Glenn is able to play and perform some of the Priest songs that are less challenging but due to the nature of Parkinson's progression he wants to let you all know that he won't be touring as such." The guitarist himself asked Andy Sneap to "fly the flag" on stage for him. The rest of the band also said: "We have been privileged to witness Glenn’s determination and steadfast commitment over the years, showing his passion and self belief through the writing, recording and performing sessions with Priest - he is a true metal hero! Glenn, who is a grammy award winning musician from Blackheath, Staffordshire, joined Judas Priest in 1974, meaning he has played on several landmark heavy metal albums. If you have any questions for Rob Halford we are conducting a live interview with him which will be broadcast via the Quietus Facebook page at 12.30pm GMT today (Monday February 10). We would like to wish Glenn the very best with his health in the future.